Kimberly Hilliard, Ph.D. Executive Director 601-979-2255 kimberly.d.hilliard@jsums.edu Kimberly Hilliard, Ph.D., serves as the founding Executive Director of the Office of Community Engagement. Dr. Hilliard, a native of Washington, D.C., holds a B.S. in Mechanical Engineering from Tuskegee University, a M.S. 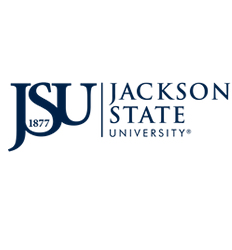 in Urban and Regional Planning from the University of New Orleans, and obtained her Ph.D. in Urban and Regional Planning from Jackson State University. Hilliard provides leadership in connecting the University with local, state, and federal agencies, community-based organizations, and local residents and businesses. With over 30 years of experience, she has an extensive knowledge base in (1) technical leadership in urban and rural development; (2) federal and state land use and environmental regulatory documentation; (3) historic preservation in inner-city communities; (4) neighborhood revitalization with diverse socio-economic populations; (5) local economic development, and (6) communicative planning practices.